We have another Developer Spotlight coming up this week. I've arranged it so it falls a little later than the previous ones so that we do not interfere with mandatory events or Sentinel Academy. 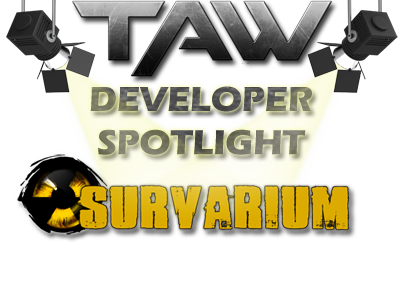 This week we have the team from Survarium, an upcoming MMOFPS that combines a post apocalyptic feel with a classic FPS style, similar in style to most modern shooters. There will be a channel in the lobby assigned for this event, it will only be accessible by members, however, if you wish to bring a guest you will be responsible for them and must move them to the channel yourself. This Q&A session will occur on Sunday, October 12th, 2014 @ 4PM EST (10PM UTC+1). There would be environmental disasters, NPP explosions, chemical plants catastrophes, extensive contamination over large areas. You're one of us, a survivor on the tiny islands of camps amidst the storming ocean and the approaching Forest. Find the cause of the disaster and pacify the wrath of Nature!